THE SUN - THE MOON & THE TIME ! The relation between the Sun and the Moon affects our daily lives and this dial shows it effectively. 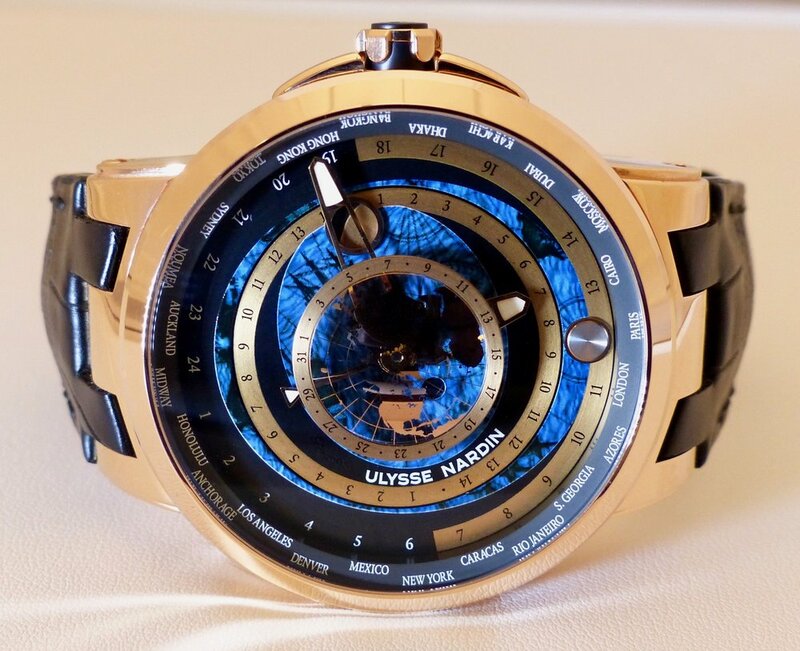 In fact this timepiece recreates their movement around Earth. At the center, a world map is fixed with a date indication on its outer edge. Then, you’ve got a first open circle indicating the Moon and its different phases. Finally, a solar disc indicates all time zones with a day/night division. The Sun is represented by a filled circle which obviously does a full revolution in 24 hours. In total, three discs are turning around the fixed center map! In addition, a tides map is present to show how the two celestial bodies affect our seas. On the side case, two buttons enables you to move the local time by one hour and that’s a very useful mechanism! Thanks to it, you won’t need to adjust the Moonphase while you’re traveling or for instance on the 25 of March. I think that the Executive Moonstruck Worldtimer is a wonderful & successful creation! Its calibre UN-106 is brilliant and overall aesthetic Stunning. I can understand that for some people, the dial might be difficult to read / interpret but as always it’s a matter of time and interest in order to embrace an idea.